WCU breaks down the hitless streak by MLB Baltimore Orioles Chris Davis.... Dodgers off to a red hot start especially Cody Bellinger....NCAA March Madness National Championship Game... UCLA basketball head coach vacancy fiasco.....Alex Caruso giving Lakers fans something to be excited about..
Westcoast Unplugged back on mics breaking down All Star Weekend Dunk Contest highlights, Manny Machado signing 10 year 300 million dollar contract with San Diego, Zion Williamson & Duke facing North Carolina, Antonio Brown on the trade market, and Academy Awards happening this weekend..
WCU welcomes back friend of the Show...ESPN LA Lakers Talk: Allen Sliwa. Allen breaks down his insight and perspective on the Anthony Davis demand to be traded from the New Orleans and the rumors of Lakers making a trade to acquire the Brow....the interest of Kyrie & Klay to join forces with Lebron & Lakers this summer... what does Magic & Lakers organization need to do to acquire Davis.... super bowl preview/predictions for Rams vs Patriots....can the Rams pull it off or is Tom "GOAT" Brady too good to win his 6th Super Bowl....USC Basketball trending up...UCLA Basketball not so much. 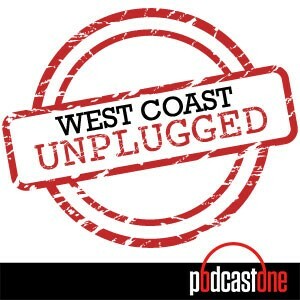 WestCoast Unplugged break down the infamous The PI Call from Rams-Saints game, Brady the GOAT, Lonzo Laker Arrival, Harden MVP & Bru McCoy transfer to Texas? Westcoast Unplugged is joined by former NFL Stars with LB Kirk Morrison and WR Lance Moore breaking down the upcoming matchups in the NFC & AFC Championship Games this Sunday! The crew is back with the first show of 2019 and breaking down the upcoming NFL Playoff games this weekend... Pac-12 Football down year... College Football Playoff System.... USC Offensive Coordinator Kliff Kingsbury interviewing for vacant NFL head coach position...UCLA Basketball Coach Steve Alford Fired... Lakers playing with Lebron for short term due to injury..